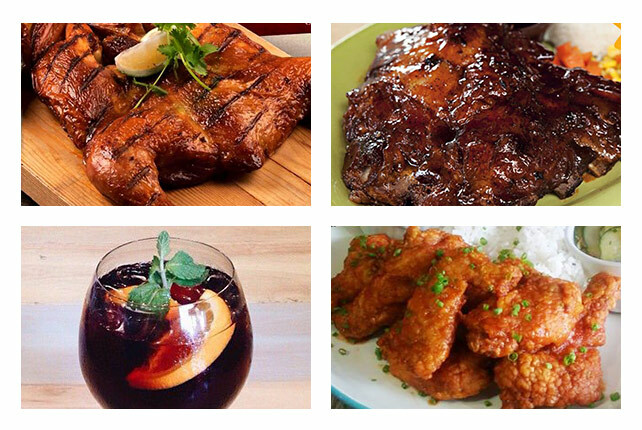 This mouthwatering hub isn't what you're expecting, but it will make you hungry nonetheless. 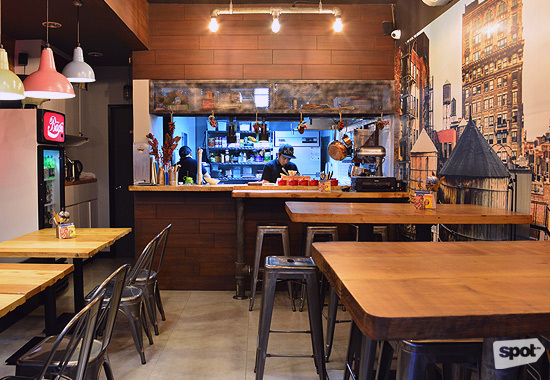 (SPOT.ph) It's easy to miss this cozy restaurant in one of the busiest corners of San Juan—P. Guevarra and Wilson—but you’ll surely be missing out if you do. 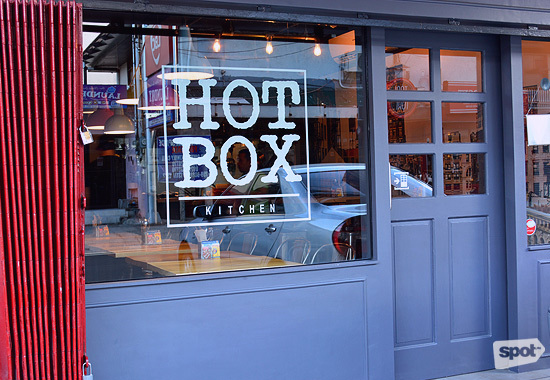 Just like the unassuming facade, the menu of HotBox Kitchen is nothing fancy: It's homey, satisfying, and designed for careless kicking back. This isn't to say that the food is careless. 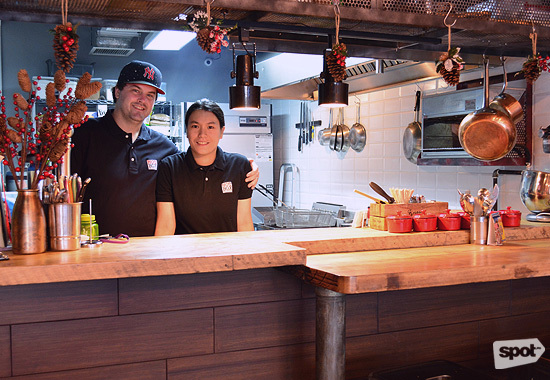 Evan and Michelle Corby are the lovely chef duo behind the whole project. The couple met in Canada six years ago, and Canadian cuisine has a heavy influence in their dishes— that and Evan’s English background. 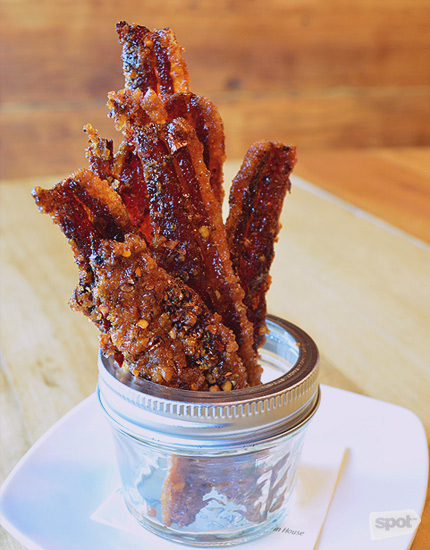 It's obvious then that we have to start with the Double-Smoked Candied Bacon (P150). It's the most mouthwatering strips you'll see: straight and flat, with the cooking even all throughout. The sweetness will strike you first, but a chili blend turns up as you're about to finish. 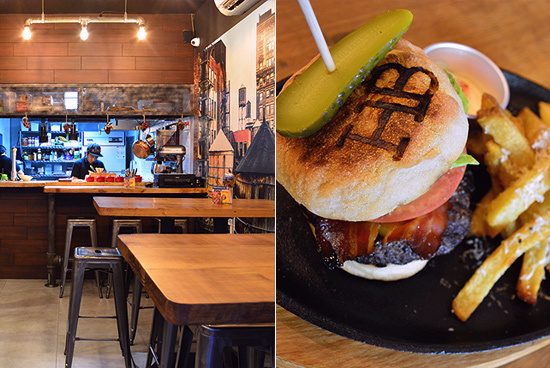 Canada is big on meat and the HotBox Burger (P365) is an excellent showcase of what the couple can do with their burgers. 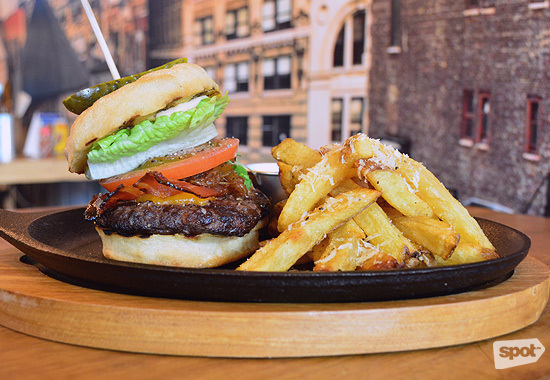 It's a seriously good blend of meat patty dressed with cheddar, caramelized onions, lettuce, and tomato in between slices of heavy English muffins, served with a side of golden fries. 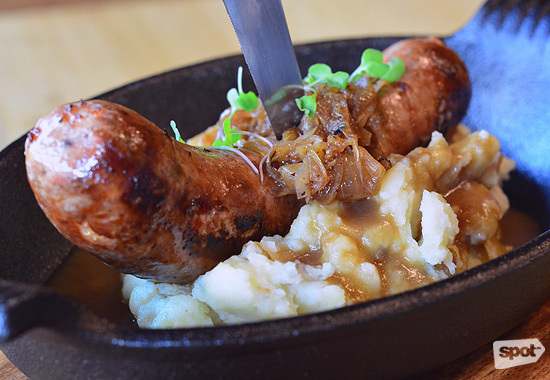 The menu makes it way across the pond with the Bangers & Mash (P300). The sauce comprises hickory-smoked jalapeño and cheddar (homemade, just like every one of their meats! ), laid out on a soft bed of garlic mashed potatoes, caramelized onions, and bacon gravy. This is pure, unadulterated goodness. Burgers, sausage and potatoes—this is what HotBox Kitchen does. It sounds simple, it looks simple, but Evan and Michelle have found the formula that will surely work beyond trends. There are no smokes and mirrors here. 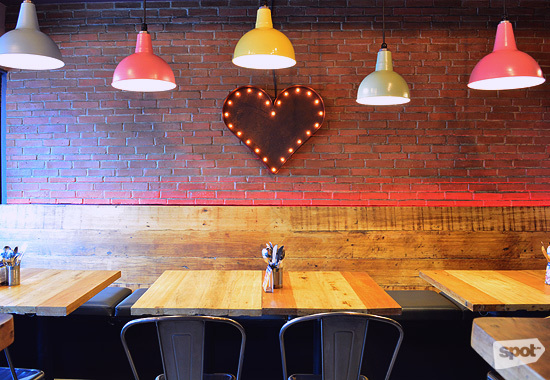 HotBox Kitchen is just honest-to-goodness good. 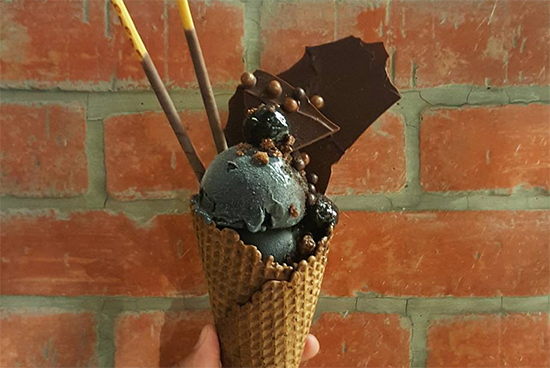 Would you like to try Squid Ink Ice Cream?